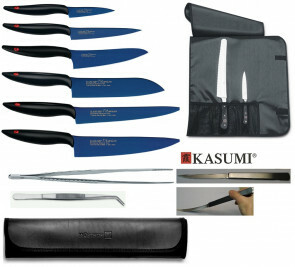 Kasumi knives are produced by Sumikama Cutlery in Seki, Japan. 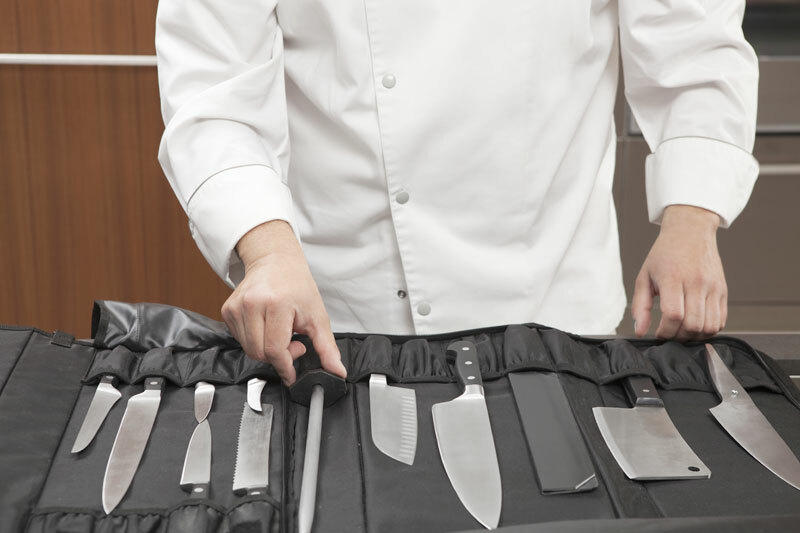 Sumikama Cutlery specializes in the production of knives from the most advanced materials with the most advanced production techniques. 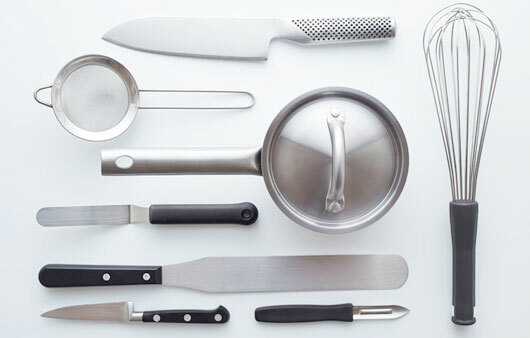 The production of Kasumi knives requires a great experience and knowledge in order to obtain the maximum benefit from the different stainless steels used. 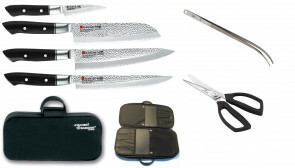 The Kasumi Damascus series consists of 32 layers of Damascus steel with an intermediate layer of ultra-resistant steel. Only the middle layer acts as a cutting edge and is made of VG-10, a steel with a high carbon content for durability and ease of sharpening. 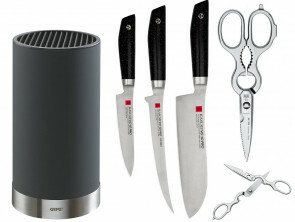 The knife is beveled at an angle of 15 degrees, creating an extremely sharp edge that fits with the best Japanese knives. The knife is finished with laminated wood handles that adapt perfectly to the tang of the knife. These are of medium weight, with very hard blades. The line of hammered Japanese HM Hammared knives are made of Japanese high-carbon cobalt VG-10 carbon steel with Rockwell hardness 59-60. The hammered design on each side of the blade is the result of the hot forging of 300 tons of a bending machine that makes clear the design of the steel hammer. The irregular design of the hammer prevents the food from sticking to the blade. Features a comfortable, hygienic and long-lasting polyacetal resin (POM) handle. The remarkable glossy edge has been perfected with a double finishing process starting from a fine-grained # 3000 grinding wheel which guarantees a professional cut. The blade is made of molybdenum vanadium steel with titanium coating, a material that offers the best edge possible thanks to the combination of steel and titanium. The exceptional advantage of the KASUMI titanium coated blade has been achieved by combining the best of advanced technology with the unsurpassable knowledge and expertise of the craftsmen who make these professional kitchen knives. The Kasumi VG-10 PRO series is the latest addition to the Kasumi range. The VG-10 Pro Series knives are forged from a single piece of super-high-grade stainless steel VG-10 (HRC 60-61), which means that these knives remain sharpened longer than most other Japanese knives. 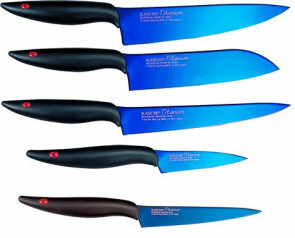 These knives are produced with an extremely high degree of hardness, to give a very strong and long lasting edge. The knives are finished with a resin marble effect handle, which, although beautiful, is very comfortable to hold.